@atekant restored iPhone 3GS to factory 4.2.1. There was no message or indication of an unlock. Popped an AT&T SIM into 3GS and did not receive the “Invalid SIM” error. EU Wind SIM: works; O2 SIM: flashed “Invalid SIM”, then disappeared. We received a tip this morning that Rogers/Fido are going to be the first Canadian wireless carriers to unlock Rogers/Fido devices for a fee. This is reportedly a new policy that the company is rolling out. Effective December 14, 2010, Rogers/Fido have introduced a new device unlocking policy that allows Rogers/Fido customers to unlock their device for a $50.00 fee. The policy applies to consumer phones, smartphones, embedded laptops, and rocket sticks depending on manufacturer restrictions. How can a customer have their phone unlocked? What are the risks for unlocking devices? Some features on the phone/device might be compromised by the unlocking and could affect its performance on our network. Our devices are optimized to work on the network for which they were purchased. Not all settings will work outside the carrier that certified the device. Warranty may become void by some manufacturers if unlocked outside the Rogers/Fido policy or software has been tampered with. In regard to our wireless handsets, customers have the added benefit of our Fido Repair and Loaner service which will help cover the cost if their device is defective. Ask the customer if their phone has been unlocked; if yes, was it unlocked within the Rogers/Fido policy? If unlocked within the Rogers/Fido policy and the software has not been tampered with then there is no impact on the warranty. 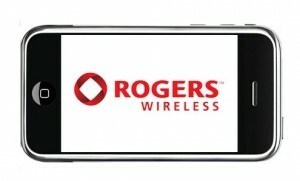 Note that if unlocked outside the Rogers/Fidopolicy or the software has been tampered with then the warranty may be void. Advise the customer the phone can potentially be re-locked as part of the repair process and if they wish to have it unlocked again, the policy and charge applies. 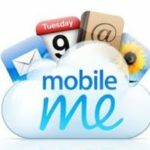 In order for a customer to take advantage of either the Fido Repair and Loaner service, the customerâ€™s device brand must correspond to the currently active CTN (i.e. 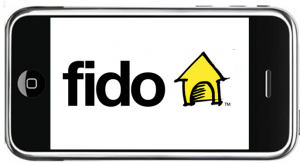 Fido CTN cannot be sent for repair with Rogers branded hardware and vice versa). All Hardware service transactions where the CTN brand does not correspond to the hardware brand will have to be processed manually. Customer will have to provide proof of purchase in order to proceed with manual In Warranty Repair. Thanks to Gordun Ramsie and Jakub for the tip!